There is a chill in the air here in Mesa. I woke up on and off during the night to pull the covers up and when we got up at 7:00 it was downright cold! We had an electric heater but it was not working properly. I think the thermal switch that prevents overheating was malfunctioning and shutting the heater down far too early. I did a little research on line and went over to Target Stores to buy a Lasko unit. It required a bit of assembly but seems to be working well. It has a nice fan and pushes warm air throughout the RV. This is our 4th or 5th heater and so far is the best one. It even has a remote so I can turn it on and off at night! Pure luxury! Our neighbor/friend Shadowmoss came over for a visit this afternoon and we made tentative plans for an outing on the weekend. It was nice to see her. I am watching Canada's Grey Cup game on TV. Edmonton vs. Ottawa. I am cheering for my old hometown Edmonton but so far it is not all that exciting. We are in Mesa! The only drama was buying propane. We found a Flying J that sold it but after trying for five minutes the attendant announced his equipment was not working. We parked and went for breakfast (Daybreaker in the Foothills - very good) and when we walked back he was filling another RV. He said it was now working so we pulled around and this time it worked! Two hours for breakfast and propane. 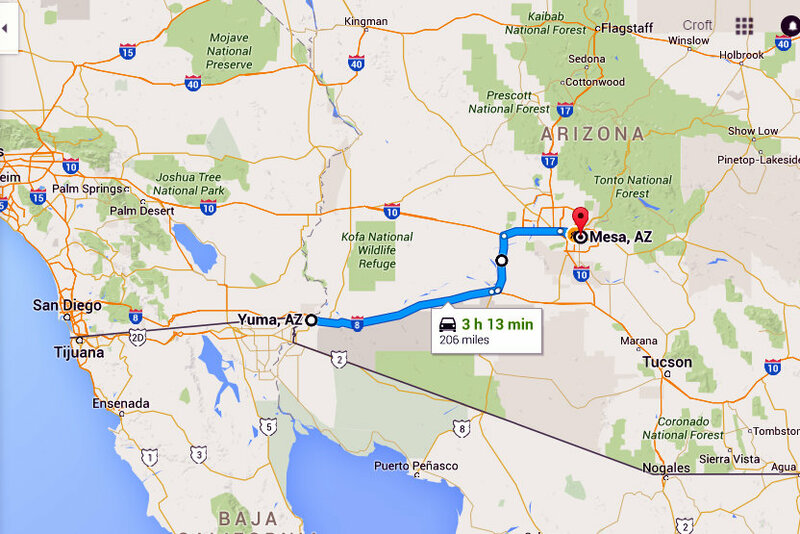 The highway got busy as we approached Phoenix but the GPS lady got us right to the door of the park. The office was closed but we had already been assigned a spot so we just parked and hooked up. The office will be open Monday. The suggested time of 2 hr 13 min is way off, it took us about 6 hours including the propane / breakfast stop. I now have a frozen pizza that is calling my name. We have not done much in the last few days. 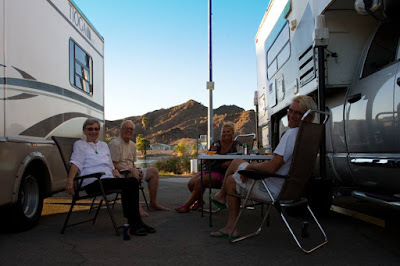 We had neighbors over for a happy hour once and went to our friends Muff and Val's for dinner once but other than that we have just hung around the RV. We did hire a crew to wash the motorhome for $1 per foot and an extra $5 for the roof. They did a good job but with the dust here in Yuma, it did not stay clean long. The plastic drain plug in the water heater started leaking so I replaced it with a brass one that should last forever. We are moving to Mesa, AZ tomorrow. This next park, Mesa Village, is where we stayed for a month last year. It is a quiet residential park with a nice pool and hot tub, close to lots of shopping and restaurants. After that we have no plans except to see where the desert breezes blow us. We just learned this morning that Paul and Dodi, the Florida couple we met in Mexico when they were abandoned by their RV caravan and then visited twice at their home in FL have both died late last month. Paul went first with a sudden brain aneurism and was followed a couple of days later by Dodi who simply could not live without Paul. Paul and Norma were born on the same day in 1942 and Dodi and I were about the same age. Makes you think. We had a lot of fun with Paul and Dodi in three countries, Mexico, the USA and the Bahamas. Very friendly, generous people. Paul was the very definition of "a colorful character" and made the best Bloody Marys I have ever tasted!! 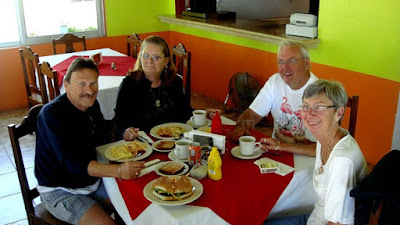 Here we are enjoying a late breakfast on Isla Aguada, Mexico in 2010. Miss you guys! Smooth sailing and, "Keep the wind at your back and the sun on your face"! If you are a Conspiracy Theorist like me, or just interested in modern US history, you will find this Salon article interesting. We booked a month at the same Mesa, AZ park we were in last March. It is convenient, has a great pool and hot tub and is cheap at $450 US per month including electric. We booked the same spot we had last year. We are both tired this year and just want a month of doing almost nothing. Decisions will be made as we go. I went to Dishpointer to get the dish pointing information for the park and what do you know, the satellite image has our motorhome in it! They updated their image file while we were parked there. You can see the motorhome, the Mazda and the dolly. Cool! Speaking of StarChoice (or any other satellite service), if you cannot find the bird easily and there is someone else in the park with the identical dish and LNB, here is an easy non-invasive way to copy their settings. First, set the skew as listed on the Dishpointer site. Then aim your dish in the general direction of the bird (you can use the compass setting on the site) and leave the tightening bolts slightly loose. Now go to your neighbor's site and photograph his dish from the front making sure to include the shadow of the LNB as it falls on his dish (see photo below). This can be done from outside his property but if you see anyone you might want to explain why you are photographing his dish. Now quickly go back to your own dish and adjust your altitude and azimuth so the shadow on your dish matches the photo. You have maybe five or ten minutes to do this before the sun moves too far in the sky. You will now see bars on your setup screen and can easily do the fine tuning required to get a perfect signal, Obviously, the sun has to be in a position to cast a shadow for this to work. A Great Dinner With Old Friends! Our friends Muff and Val McMurphy have a park model in Yuma where they spend a few months escaping the Vernon, BC winters. They are always busy with their golf and active social life but they got a night off last night and decided to spend it with us. Muff and I started working for Canadian Telephones and Supplies (CT&S), an offshoot of BC Tel around the same time back in the mid 1960's and met shortly after that on a job in Chilliwack. Our wives to be met shortly after and we all became fast friends, the kind of friends that if you go a year or two without seeing each other, it is just as if you were never apart when you finally do get together. Our friendship continued on through our work (and political) lives where we were both active in our union and worked together on several projects for the telephone company. When we both retired we continued to see them at retirement do's and down here in Yuma. Yesterday Norma raided her well guarded freezer for some very nice BC salmon, halibut and prawns which her and Val marinated in teriyaki sauce, threaded onto skewers and cooked in the convection oven. They turned out perfect and shared our plates with some potato salad. They were so good, they were eaten before I thought to take a photo! Here are our friends. Funny how we are all aging except Val who insists she is keeping up with us age wise but it sure does not show! We checked out of the room and got into the short lineup for the USA border crossing, declared our two bottles of booze (tequila and Kahlua) and drove back to the RV park. First check was the fridge and it is fine so I guess that particular drama is over. I have to think out the teeth thing, it was quite a shock when they almost doubled the cost on me. We will stick around in the US and make plans. Since we did not spend any money at the clinic we had to pay for our own room but at the 'patient' price of $35 US per night instead of the regular $50. The whole peso/dollar thing was very confused. We always spend pesos in Mexico but that does not work in Algodones where only dollars are used which we had hardly any of. There is only one ATM in town and it had a sign on it indicating it was out of dollars and only had pesos. So here we were with nothing but pesos in a US dollar economy. Pretty much everyone was accommodating, using their smartphones to convert their prices to pesos, the only exception being the hotel and attached restaurant who objected to taking pesos and who charged us an unfair exchange rate. The other problem in Algodones is keeping track of the time. Baja California Norte is in the Pacific time zone but because 99% of their customers come from Yuma, AZ all the medical clinics work on AZ time. Most other businesses run on Mexico time so you can see how confusion reigns. Anyway, it is nice to be back to the RV and our own soft bed. We are paid up here until Saturday and there is nothing to do around here so we shall relax! I need time to think. This decision does not have to be made in one day. I am getting by quite well and am in no pain. I have time to think about this major financial outlay. I had a good chat with Miguel, the consulting dentist this morning and he said I did not really need the extra two times four rear molars on separate implants, that I was doing fine now without them and that if I took them off the estimate the bill would come down about $4,000 US! Much better. We are going back to the RV tomorrow and then on Saturday moving up to Mesa where we will relax and do some thinking. I have a written estimate and assurance that the price will not change in the near future. They did not charge me for the X-rays and scans they did yesterday and they arranged for the special patient rate of $35 US at the hotel. We will spend tonight here because I did not get my margarita and fish tacos last night as I did not get out of the dentist office until after the sidewalks were rolled up for the night. Back in Vacation Mode. Life is good! Baja is on hold. For now. We had dinner and discussed our options. It is a lot of money but dirt cheap compared to having the same work done in Canada or the US. Doing it all at once means I only have to deal with temporary plates for six to eight months. Splitting the job into two would be a little easier on the cash flow but would mean temporary plates for twice as long, something that does not enthuse me in the slightest. I think I am going to go for it. It is much cheaper than the $40,000 we paid for similar work on Norma ten years ago in Victoria. My cost will be $8K USA now and another $4K in six to eight months. It is still a lot of money! My rainy Day Fund will no longer survive more than a small hurricane. But then I have to take a substantial payment out of it in 2016 anyway. 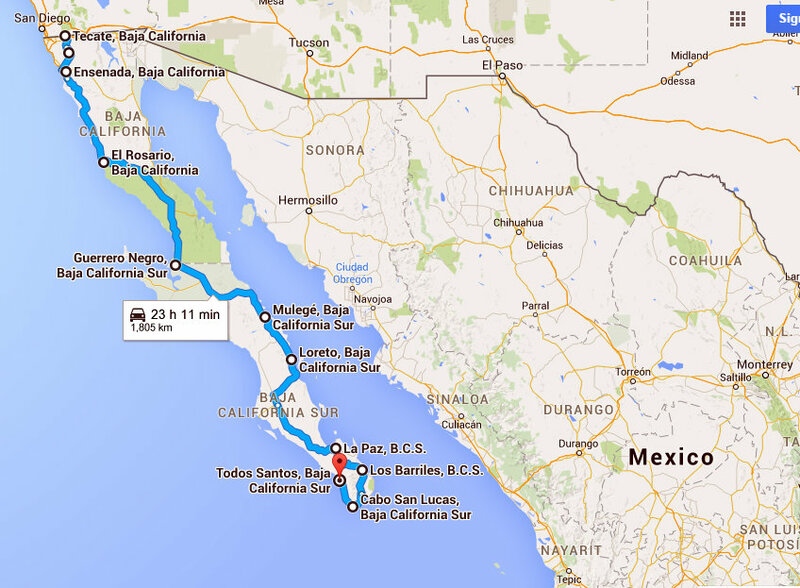 We are putting off the Baja trip. One reason is the money we will save but the main reason is being close to the clinic for a few months if I have to run back. Another reason is I suspect I will have trouble eating for a few months and I know I will have a better selection of food in the US than in Mexico. 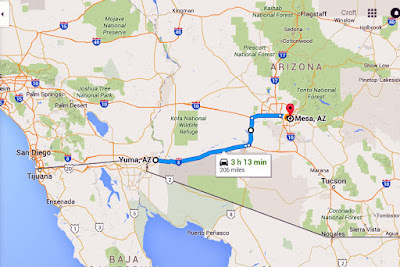 We are going to call and see if there is a spot in the same Mesa, AZ park we were in last year. It is nice and quiet and has a great pool and hot tub. We also made a couple of friends there. All in all, it will reduce stress as I recover from major oral surgery. I think this is the final decision. Well, my $6K USA job has turned into a $13K USA job (plus the $3K spent last winter). Lots of reasons, bone loss in the top front being the biggie and they cannot guarantee the job if they attach to weak teeth. Lots to think about before 9:00 AM. "All On 4" job it's called if you want to Google it. I will be. Up early after hardly any sleep because of the howling wind and rocking RV all night. 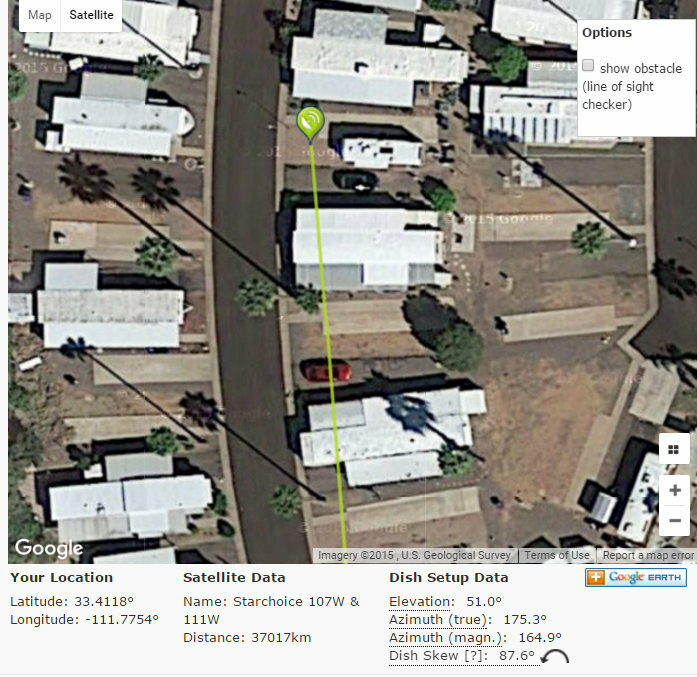 I got up at 4:00 AM to re-set the StarChoice dish that blew over. It is easy to do when I can see the setup screen through the back window. Now we are packing to go to the dentist and hotel in Algodones, MX. 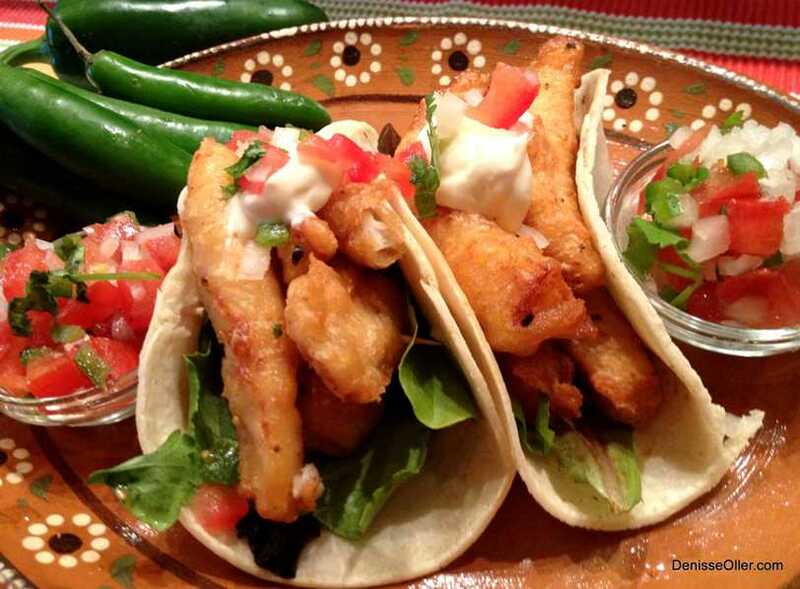 Margaritas and fish tacos tonight (if I can feel my mouth)! 1:30 AM and crazy wind blowing! The heavy chairs are scattered around the site and the windproof satellite dish mount is upside down. It is howling so bad and the rig is rocking so sleep is just wishful thinking. I am so happy we did not extend the awning! Sorry for disappearing. We drove a long way to Barstow, CA on Thursday and I was just too tired to post. I thought I would do it later but you know how that goes. We set up in the friendly Walmart but were kept awake by a jerk on a chopper who took delight in circling the parking lot about every hour. There must not be much to do in Barstow, which if memory serves is the location of the last standing drive-in theatre in the USA. I think they have now built a new one in Iowa or somewhere but that does not count. When I was a kid I had a friend who lived right behind a drive-in theatre in Vancouver. There was a hole in the fence so he, his sister and I used to sneak through the fence and sit on the ground beside a pedestal to watch movies for free. Their mom would make us popcorn. We remembered our Dutch friends Claudia and PJ were staying in Parker, AZ so I shot off an email asking them which park they were in and saying we might stop by if they were in. They were in the La Paz County Park in a dry camping site right on the river, $22 US per night. We paid for one night at the office and pulled in beside them. After hugs and greetings PJ showed me a 20 amp outlet on the lamp post behind him and told me the manager had told him it was OK to plug into it. Bonus! Claudia and PJ are getting their truck and camper ready for sale so they can head back to Holland to look after their rental properties and work for a while to build up the bank account to pay for the next adventure in Australia and New Zealand (which may involve an RV)! At some point they are thinking of opening a B&B in Holland! Book us a room! There was a big Jeep club having a "do" in the park and had food stands set up so Claudia and I walked over and picked up some wood fired pizzas for everyone. For $8 each they were very good. We had a couple of drinks and chatted until about 8:00 when the bugs came out and it cooled off so we went to bed early. It is very hot here, 90F so we took our time setting up. StarChoice was very easy to find so we are just taking it easy. 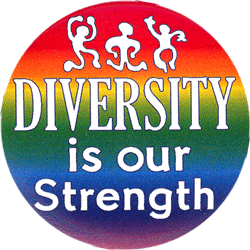 We will have a salad later, relax and pack a bag tomorrow and walk over the border to Algodones and the Sani Dental Clinic on Monday morning. The clinic owns a hotel right in Algodones and you get a free room for the duration of your treatment, which in my case will be three or four days. In Santa Nella, CA, a wide spot on I-5 south of Stockton, CA. Gas stations, restaurants and a small $28 a night RV park. We tried two previous truck stops but found no place to park except between reefer running big rigs and I did not want to face that after a long drive. We stopped at the Olive Pit in Corning to stock up on three jars of fancy olives, feta stuffed, anchovy stuffed and pimento stuffed. This decision was made after ample sampling. StarChoice was hooked up after a short delay finding the RV park in Dishpointer but then it went well. A nice relaxing evening watching TV and eating. About 600 miles to go. The adventure continues! We drove through the mountain passes today getting into California finding no snow along the way. We passed through the CA Agricultural inspection with no problem as all we had were tomatoes and onions, both of which were allowed into the state. We then stopped at All Star Liquors to stock up for the winter. For Canadians the priced here are incredible! 750 ml of single malt for $19.99US and 1.75 litres of vodka for $17.99. For under $200 US we have enough booze for the winter with probably enough left over it will cause problems on the way home. All we have to buy is beer and wine. And tequila but we will take care of that in Mexico. We are in Anderson, CA where we just got the oil changed in the motorhome and the Honda. Cheaper than last year. A welcome savings given the dollar but go figure. We will park overnight in their parking lot and head out in the morning after Norma gets her nails done. The trip so far has been uneventful, just as I like it. So far I have talked to two Americans and one Canadian who are incredulous that we are driving into Mexico. The last one, an American told me it was very dangerous. I told him it all depended on which drug cartel he was a member of. I said if he was a Zeta then Mazatlan is very dangerous and if he is a member of the Gulf Cartel then he should stay out the northeast of Mexico. He looked at me strangely and I asked him which cartel he belonged to. He said he did not belong to any drug cartel so I told him he had nothing to worry about and that he would be welcomed anywhere in Mexico just as we are. I am getting tired of answering this same question. Can you tell? Mexico is safe. Safe as Canada and maybe safer than the USA. 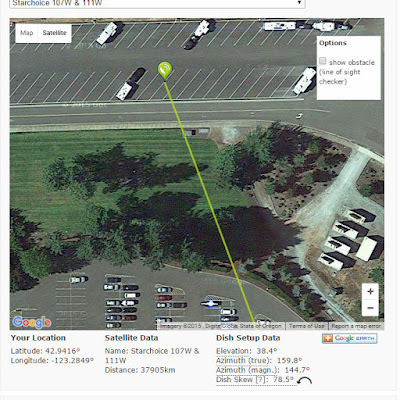 We are parked in the free RV dry camping area at Seven Feathers Casino on I-5, 99 miles from the OR / CA border. We put in a longish day today and actually gained a day as this is where we usually spend our fourth night. We will catch the shuttle to the casino later and donate a few dollars to pay for our stay. StarChoice set up very easily using the DishPointer site where you enter an address and it shows your location on Google Maps with the path to the satellite highlighted. This let us find the bird in about 20 seconds after setting up the dish and connecting the four cables. Anderson California tomorrow where we will get oil changes in both vehicles and maybe a set of cheap tires for the Honda. We are parked at the Black Ball Ferry dock in Victoria using their free WIFI! One panic with the fridge on the way down but OK since then. Fingers crossed. We visited with LindaLee's parents last night. Lots of fun. Janice and I had our requisite 'discussion' on politics. I'm right, she's wrong but it is not likely we will ever agree! :) The discussions are always fun and she keeps me on my toes. I stopped at my bank on our way into Victoria and when I got back to the rig the check light was on! I reset it and drove to the ferry and when we got there it was on again! I reset it and it worked fine all night. That fridge is causing way too much stress! We had the burner on the fridge cleaned on Wednesday, Norma loaded the freezer on Wednesday night and all seemed well. This morning (Friday) I got up early to turn the rig around and load the car on the dolly and noticed the 'check' light was on again! The food was still frozen but the inside walls of the fridge were room temperature. We quickly put all the food back in the house freezer. I called the repair shop and he said to bring it right in and they would look at it. I was there just after 8:00 AM and the tech diagnosed a blown re-igniter board. He changed it and told me he was 95% sure that would fix the problem. The main board was working fine and that narrowed it down to the re-igniter. He said we would know within 12 hours if it was going to fail again. If it does then it becomes a major diagnostic problem taking several hours so our fingers are crossed. Another failure may be the indicator that it is time for a new fridge. Paying six hours labour at $100 per hour plus parts is just not worth it when you still end up with a repaired ten year old fridge. In any case, we do not want to be in the US or Mexico with a bad fridge and nowhere to keep our 50 pounds of frozen fish. We will stay an extra day and leave here Saturday, catching the Sunday morning ferry to Port Angeles. That will give the fridge 24 hours to tell us if there is still a problem. We will sleep in the rig tonight so we can keep an eye on the 'check' light. We will still make it to Algodones for my November 16 dental appointment. If all goes well. We took the rig into Bill Howich RV Repair. The fridge only needed the burner area blown out with compressed air and it works fine - no charge. The ceiling fan (did I mention it did not work?) worked for them and works now. It just needed a drive to the repair place. The furnace was another story. The main board was shot so they replaced it with a Dinosaur brand board ($236) they had in stock and replaced the high limit switch ($34). Add labour and taxes and it came to $650! Ouch! I called Desjardins in Quebec for travel medical Insurance and feared the worst as we are not getting any younger. I was pleasantly surprised when she told me $3,700, only $200 more than last year. About $10 per day each. Great. I then called for Mexican vehicle insurance. I had advice to change to another company but we stuck with San Xavier as they treated us really well with two previous claims and their price was only a little higher. The peace of mind was worth it. Anyway that came to $684 US to insure the motorhome, dolly and car for six months. After currency exchange, it totaled out to $923 on my credit card. In BC we are lucky because when we get home I can claim whatever portion of my Canadian insurance that we were out of their jurisdiction (Mexico) for and get a refund of more that what the MX insurance costs. Move to BC folks, it's a perk! So that is the major expenses done. Ferry to get off the Island will be around $350 followed by gas to get to Algodones and the dentist and after that it will be only ice cold beer and fish tacos! Oh yes, and wait for the magic of compound interest to re-fill the piggy bank. Ya, Right! I have to keep reminding myself how small Baja really is! 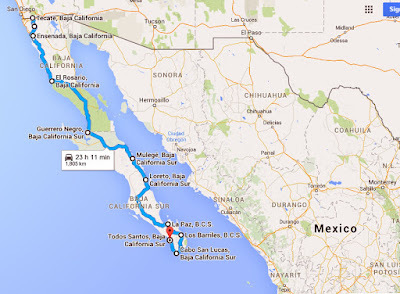 The total drive from end to end is only 1800 KM and the very bottom, Cabo San Lucas, is right across the Sea Of Cortez from Mazatlan which we know is only a two or three day drive from the border. Maybe a better comparison would be the drive from Vancouver, BC to San Francisco, CA which I once did in one day when I was young and foolish and we only had a four day weekend off. We will be doing a lot of parking and exploring, spending a week or so in every popular/scenic location as we travel. For the most part we will be traveling the same route back as we did on the way down so we will gain knowledge of the best places to stop for the return trip. We may take a couple of side trips but we will decide that as we go. Gas is more expensive in Mexico than it was last time we were there but considering the reduced distances we will be traveling we should get by with ten or twelve tankfulls for the time we are there. It will be an adventure. A shorter drive, but still an adventure.